Galileo: Recent developments (HC 1055-i), David Clelland M.P. Evidence given by The Rt. Hon Rosie Winterton MP, Minister of State for Transport, Ian Woodman, Director, Maritime and Dangerous Goods and Elizabeth Duthie, Divisional Manager, Galileo Programme Division. Q32 Mr. David Clelland: The question is, surely, are the additional benefits or the extra uses over and above the present system going to be worth the amount of money which is going to have to be expended on the system? Ms Winterton: That is exactly the further work that we have asked to be done through the Commission. It is just a more accurate cost benefit analysis. I could run through some of the benefits that we think are there if that would help, Chairman. Q63 Mr. David Clelland: Are the main benefits to the UK likely to come from the European phase of this, the four satellite options, or do we need to move to the full global system to get the kinds of benefits we want? Mr Woodman: Could I just ask, is that in terms of the benefits for the user from the system? Q64 Mr. David Clelland: We are told about all the benefits to business and benefits to travellers, et cetera. Does this mainly come in terms of our citizens and our economic prospects from the European phase of this or do we have to have the 30-satellite system? Could we stop with the four satellites which cover the European footprint and would we get sufficient benefit from that to warrant the kind of money which we would need to put into that? Mr Woodman: I think the answer to that is that an additional four satellites would give a very patchy coverage indeed, so very marginal benefit, and indeed the four satellites are part of what is called the orbit validation phase of the project, which is just to see if it all works and can all be integrated together, so it would not give you a working system. Effectively you want the full constellation. There are lots of technical arguments that one could have about how many satellites you would need in a full constellation. If you look at GPS I think GPS would have a minimum of 26 and might have a maximum of 30, so there is clearly a range within which you could operate, but if you want the benefits, if you want people to be able to use it for better navigation, more information in urban centres and the like, then effectively you want the full system. Q65 Mr. David Clelland: It is all or nothing then? We either go for the whole thing or we do not go anywhere? Does that mean there is no compromise on this? Does it mean we can negotiate with the Commission about reducing costs and having a less ambitious project, for instance? Ms Duthie: If you want the Galileo specific services, the ones that the Minister mentioned, which are different from what you get from GPS, you have to have the full constellation. As soon as you start putting a reasonable number of satellites up, and some people say 12 Galileo ones, some say 15, 16, but about half to two-thirds of the 30, that will give you, they think, enough difference to the person in the street using it on their mobile phone to will make it much more attractive to be used in those mass market applications, but when you talk about this in Europe you get almost a religious divide. There are some countries for which the fact that the specific Galileo services are technically so much better than GPS is now is almost an article of faith and they really want the whole lot to be up. 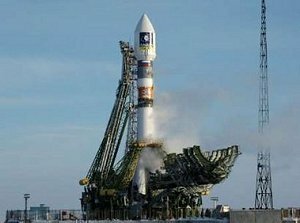 Clearly, as it becomes more obvious that you can get some of the economic benefits from a smaller number of satellites, because it is not something people have thought about terribly much until now, as the costs hit harder home people may be more interested in thinking that way and phasing the system.